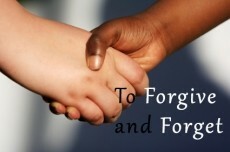 To forgive and forget - A gift which only some people possess. I had many deplorable recollections in my life. Recollections that triggered pain. Sometimes I used to ask myself what was the use of remembering such stuff? Why couldn’t I just forget everything and forgive everyone. It was hard, very hard. One day I decided to do it. I would pray every day in my prayers and ask god to give me the strength to forgive and forget. It was like moving a mountain. Determinately, I did it and the reason behind it was a kitten. It was a normal Sunday. My sister, her husband and my two nephews had visited our place. I was alone at home as my parents were out for some work. Our house is on the ground floor and we have one big gate to enter and park our vehicles. My brother-in-law had parked his car outside our gate which was blocking the ingression. I took my nephews to play outside and there we saw two little kittens playing near the car’s wheel. Their mother could not be found anywhere. It looked like they were lost. They seemed friendly and playful. They were black and white in color with green eyes and looked about a month old. Just then my dad came from outside. As my brother in-law’s car was blocking the entrance he had to pull ahead to let my dad’s car enter. What we forgot was that one of the kittens was sitting just near the wheel. As my brother-in-law pulled ahead the little kitten came running outside crying in pain. Both its leg got punctured by the back wheel. We were filled with remorse. At first we thought it might die. We went near it to examine its leg, but nothing could be seen as it was sitting. We took care of it for 3 days which after both of them left. As I prayed that night I realized how that little kitten taught me a big lesson. That poor kitten might have realized that someone from among us pulled the car ahead. It did not get scared or shout or bite us when we hoisted it or went near it to give aliment. It was just sitting there, calm as nothing was wrong and everything was meant to be. What if it was a human instead of the kitten? Thinking about it gives me a nightmare. A human might have shouted and imprecated us in all the ways. We might have been in the prison for a day or two facing tribulations and paying compensations. A human might have never been able to forgive us. The difference was that this was an animal. An animal that will never be able to walk properly in it's coming years. Who forgot everything at that moment, and forgave. Mistakes are made by humans that's why we are humans. No one is born an angel. I have made many which has hurt someone, someone has made one which has hurt me. We need to let go and move on. God answered my prayers and from that night onwards I forgot and forgave everyone. I am thankful to that small life who taught me a big lesson and left. © Copyright 2019 Zylie. All rights reserved.